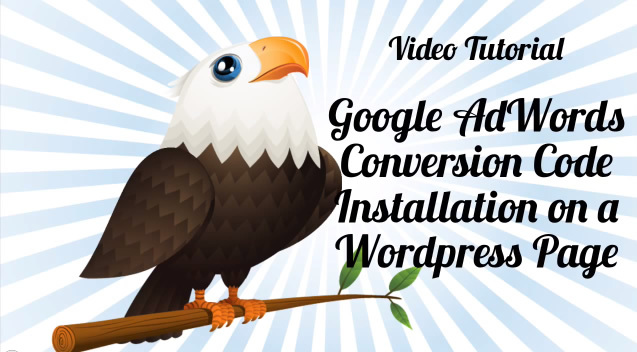 In this tutorial video we add a form to a WordPress page to capture leads from a Google Adwords Pay Per Click campaign. We then add the Google AdWords conversion code to a thank you page to track the leads we get. 1) First off you need to configure you form to send visitors to a “thank you” page when the complete it. This will be different depending on the forms you’re using. In the video we use Contact Form 7. 2) Install the Embed Script plugin on to your WordPress site. 4) Create your conversion by following the wizard until you get the code. 6) Go back to your WordPress site and edit your “thank you” page. Create one if you don’t have one already. 7) Paste the code into the plugins “Bottom of the page” box – usually on the right hand side of the edit screen. Is Google AdWords Worth It? Thanks! This really should be easier than it is. I used Ninja Forms, but the script plugin worked all the same. Thanks for the tutorial. If I wanted to implement to the thank you page an automatic page redirect (after say 5 seconds) back to the original page the user came from, how would I go about this? Nice Video! Thanks For helping. You should only need the 1 if you are using the same form. Nice video. what if i have multiple conversion tracking codes for one “thank you” page, how should i add that? Just add the, all to the embed box one after the over. Sorry for the late reply. The thank you page seems to load ok.
Have you setup your form to redirect to it after a submission? and now my redirection works. The code has probably been updated by CF7. Hope it can help ! Thank you for great video.. hope this works to me. I am trying to find how to install tracker on one page html form. I am still confused. But, your video is nice.